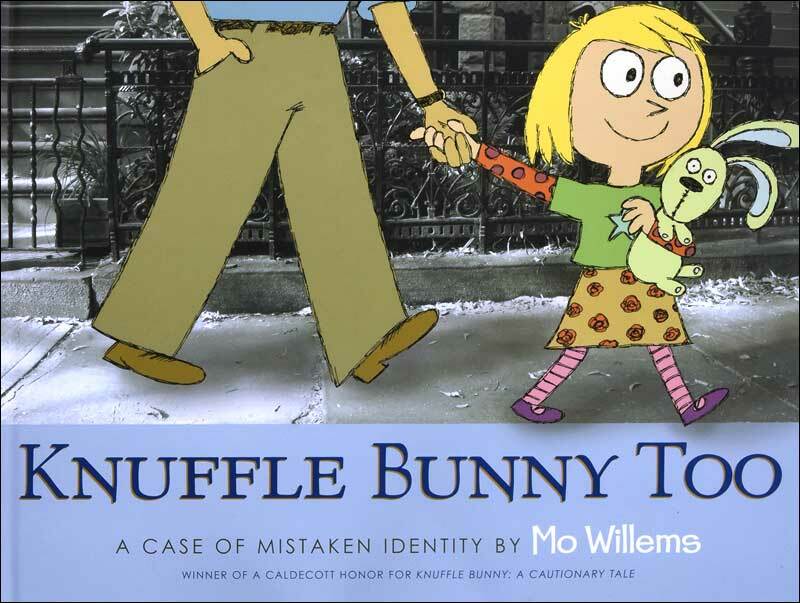 This adorable book is a fun sequel to the popular Caldecott book Knuffle Bunny: A Cautionary Tale. 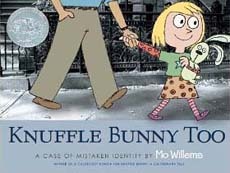 In the story, Trixie and Sonja both bring their cherished knuffle bunnies to school for show and tell, but when the bunnies get mixed up and Trixie brings the wrong one home, it's up to dad save the day. This book is every bit as charming as the first. We were delighted to see that Willems used the same winning format in this title as in the first book -- simple but darling illustrations transposed onto black and white photographs. If you loved Knuffle Bunny, you won't want to miss this sequel, starring an older Trixie and her much adored bunny. Children will relate to Trixie's actions and emotions, all perfectly captured by master illustrator and storyteller Mo Willems. 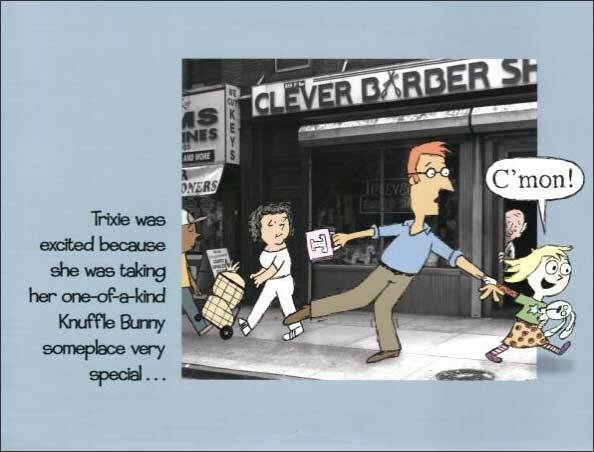 Below are sample spreads/pages from inside Knuffle Bunny Too: A Case of Mistaken Identity. We love the emotion in this page -- our favorite one of the book. 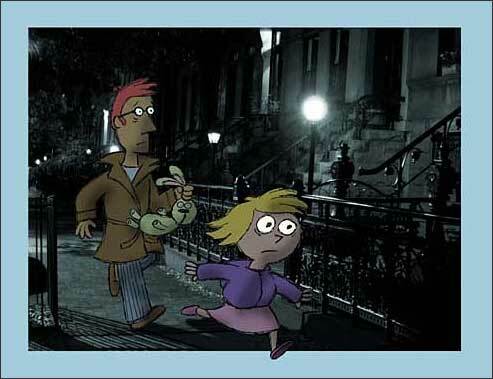 It depicts the frantic midnight dash to retrieve the RIGHT Knuffle Bunny!